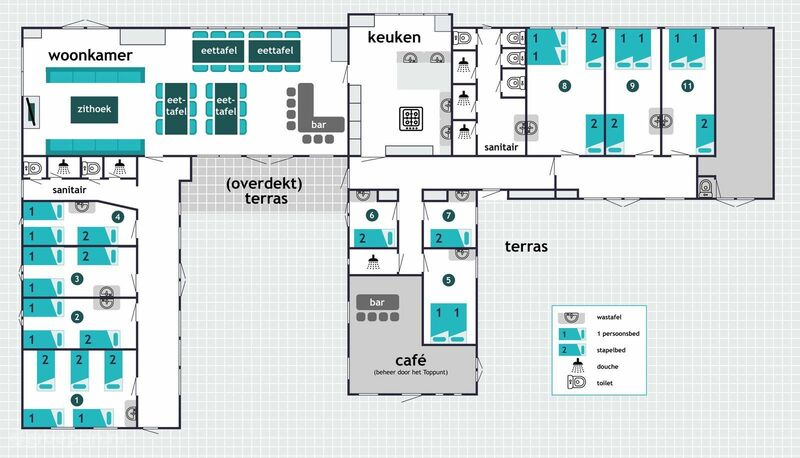 A group accommodation for up to 40 people in a beautiful location in Sneek. It is extremely suitable for water sports, due to its location by open water. The first sailing school of the Netherlands has now been transformed into a fine accommodation. 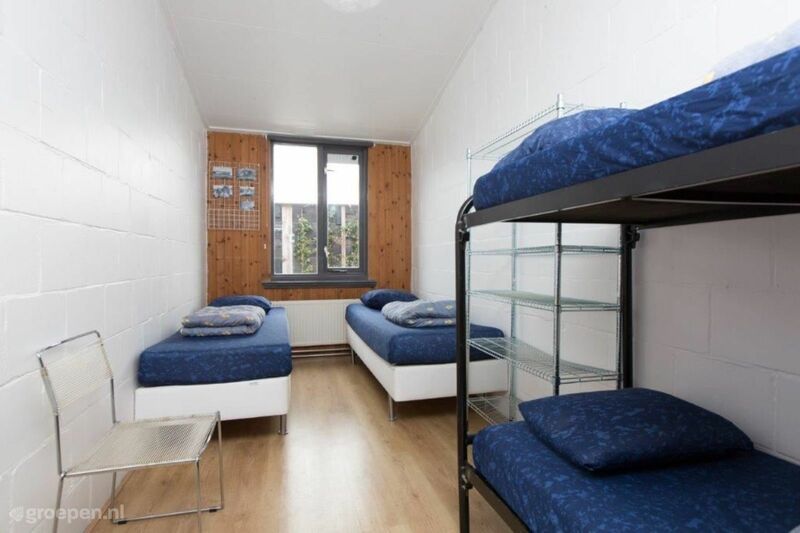 This accommodation can also be rented by groups of up to 20 people. The feeling of yesteryear can still be felt, but it offers contemporary levels of comfort. Excellent beds, a cozy living room, a fully equipped kitchen. Everything you need for a fantastic stay by the water in Sneek is there. The building has a recreation room with doors to a large terrace tnat offers a view over the busy water. The property has 10 bedrooms and 3 bathrooms with 6 showers. The spacious recreation room has a bar, TV with Netflix, sitting area, audio equipment, table tennis table, and various board games. The lawn with a trampoline is located on the waterfront. On the land side, there is another large lawn for sports and games with a volleyball net. It is possible to rent open sailing boats (compulsory from May to September), a sailing yacht, a motor boat, a fishing boat, or canoes. 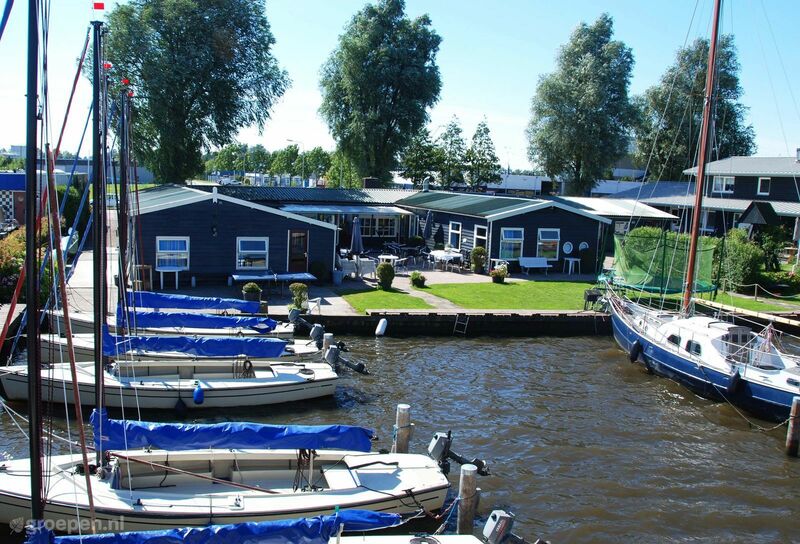 This holiday home is located directly on the Houkesloot, the main waterway to Lake Sneekermeer. You can enjoy an unobstructed view over the Frisian lakes and farmlands from the terrace. Sneek is one of the Frisian 11 cities, known for its famous Waterpoort.